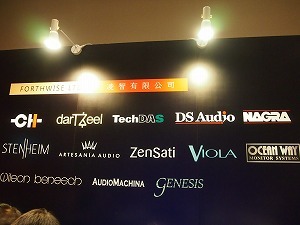 Hong Kong Audio Show, one of the two major Audio shows in Asia、HK Audio Show and Guangzhou Audio show inChina, was held in August. 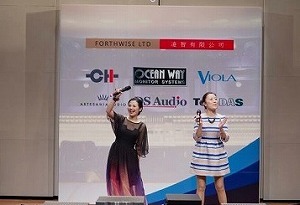 We have made our first appearance in Hong Kong through our Hong Kong partner, ForthwiseLtd.. Over 40 thousand of people visited the show though out the 3 days of the exhibition. It was our eye-opening experience to feel the strong market dynamism in Asia. to lined up to get into our demo-room. “Good, no, it is Great!” It is our amplitude proportional play back technology that is taking out all the music information recorded on the groove, and no artificial emphasis nor sound decoration. 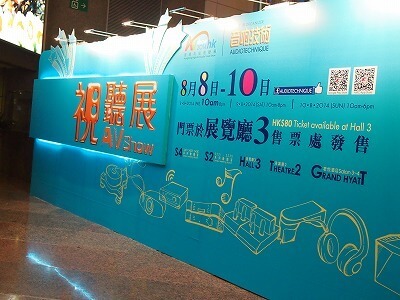 We were proud and happy to be able to present our Optical cartridge performance with a full of sound information in pure audio experience in Hong Kong. 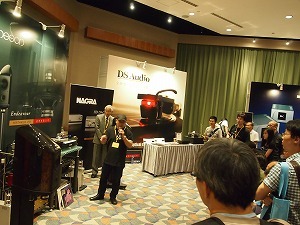 demonstrations and market presentation. 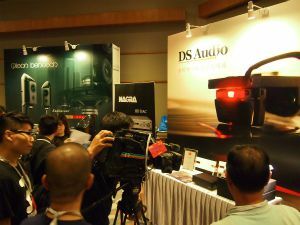 We believe that DS Audio was able to come across many people with our cartridge concept and most of all our sound philosophy tough the exhibition. 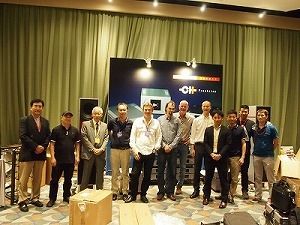 We have taken a small but an important step to bring our Optical Audio technology into the market. 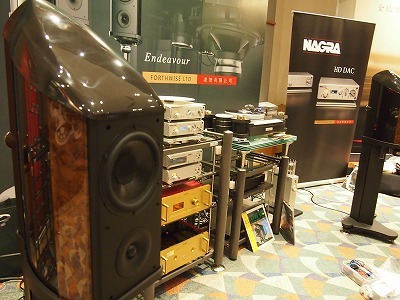 As for Audio lovers, DS Audio will keep our endless effort to bring you the most enriched sound experience though our state-of-art optical audio technologies.